The Hansgrohe Talis S is made by one of the world's leading manufacturers of high quality kitchen taps. Using top quality materials along with the very best in workmanship, you are guaranteed a product that will provide many years of trouble free service. 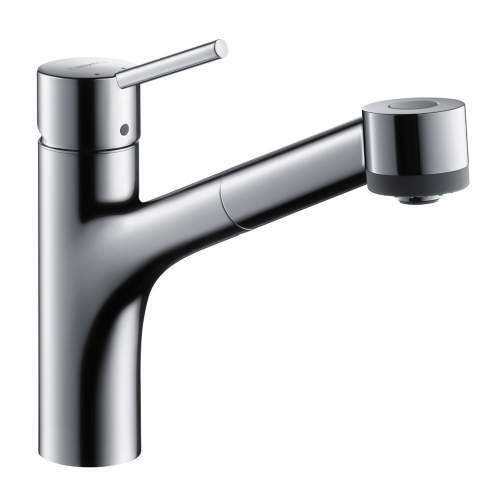 Hansgrohe kitchen taps have won many awards over the yeas and the numerous benefits of choosing a Hansgrohe tap include exceptional surface finishes, quality fittings, easy installation and exceptional aftersales care and product guarantee. 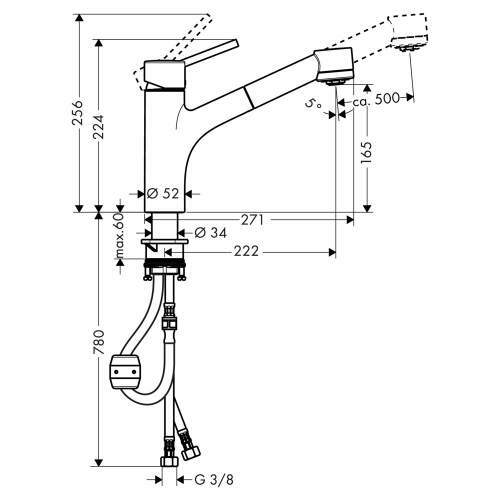 If you appreciate Design as well as functionality then look no further than Hansgrohe. 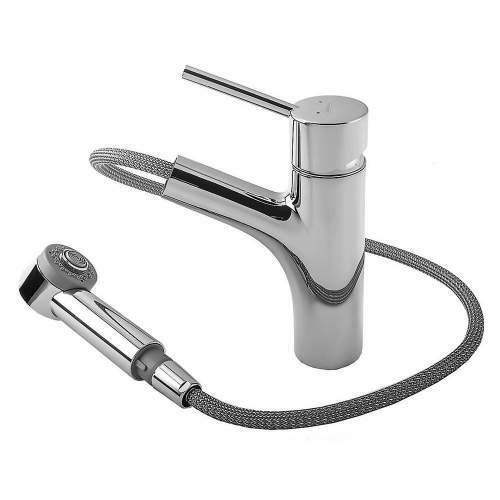 The TALIS S Kitchen tap is part of the wide range of kitchen taps available online, today. Trust in Quality - All Hansgrohe Kitchen taps are guaranteed from the date of purchase for a period of 5 years. 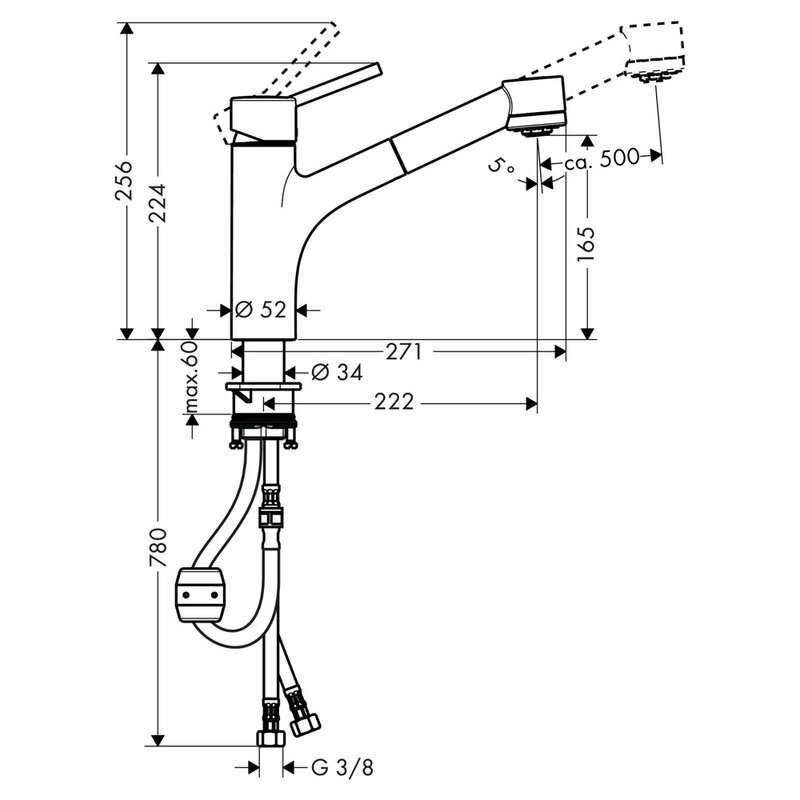 Hansgrohe guarantee the customer that all its products are free from material, manufacturing and design faults. 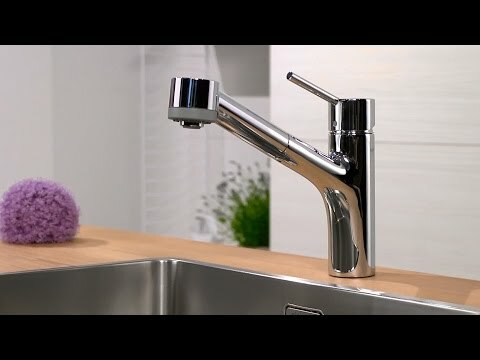 To compliment your new Hansgrohe kitchen tap you will find a wide range of kitchen sinks from a number of well known manufacturers such as Blanco, Reginox, Bluci, Villeroy and Boch and Shaws of Darwen, plus many more.